The Historical Society of Rockland County's collection comprises approximately 3,650 objects that date from the early eighteenth century to the present. It includes important collections of furnishings original to the Blauvelt family who lived on the property from 1832 to 1970, as well as objects original to the early farms and industries of Rockland County. The general collections include textiles, clothing, clothing accessories, personal items, furniture, decorative arts objects, household equipment unique to Rockland County, culinary food processing and service items, agricultural and industrial artifacts (e.g., ice-harvesting tools), Haverstraw bricks, and toys, games, and dolls. Notable items include a rare Rockland County kas (ca. 1705–1715); woven coverlets by David Haring (ca. 1834); a rare Dutch plow (c. 1790); and the entire contents of the Eckerson blacksmith and wheelwright shop of Spring Valley. The collection also contains sculpture, prints, and paintings that document the artistic and cultural aspects of Rockland County from 1825 to 1970 and includes works by prominent nineteenth-century artists such as the painters J. W. Hill and William Henry Bartlett; the marine artist J. O. Davidson; the printer, painter, and sculptor Mortimer Borne; and the early twentieth-century artists Martha Ryther, Henry Varnum Poor, Morris Kantor, and Hugo Robus. Several years ago, the Society broadened the scope of its collections to reflect newer immigrant groups, such as local Latino communities interested in preserving their heritage. Recent acquisitions reflect this history, such as Haitian dolls by a famous local craftswoman; wooden carvings and basketry by Ramapough Lenape Native Americans; and artifacts from the Italian, Irish, Haitian, and Asian American communities. Of particular note is the collection of Pierre A. Bernard and Blanche DeVries and the history of the Clarkstown Country Club. 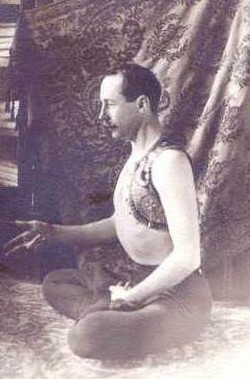 Bernard was the father of the American Yoga movement and Eastern (Tantric) philosophy in the United States; the club was his headquarters in Rockland County.